Come out this Sunday, May 27, to hear the Holy City Steel Collective, led by Nick Kelly, perform on the stage at the marina. The free performance is from 6:00 pm until 9:00 pm. Nick Kelly is the music instructor of Haut Gap Middle School’s award-winning steel band. Haut Gap Middle School is located on Bohicket Road, Johns Island. 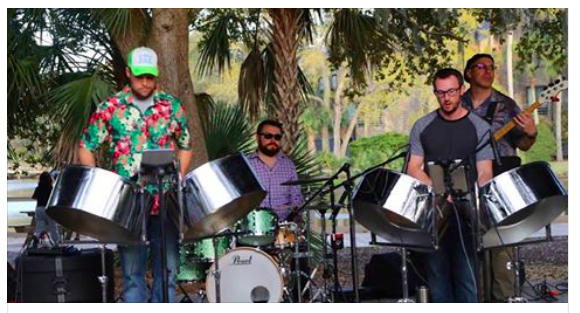 Bring your lawn chairs and enjoy an evening of steel drum beach music by the Holy City Steel Collective. This entry was posted in Recreation, The Arts. Bookmark the permalink.